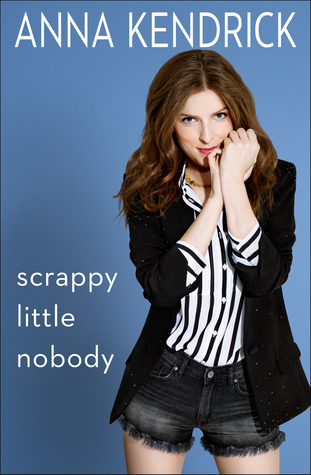 Actress Anna Kendrick tells stories from her life up to now, starting with her childhood and "rags to riches" story (mostly just a lot of hard work), stories from her time in different productions, and her experiences in the limelight and a few various relationships and lessons she's learned. Though there's not much in the profound, soul-changing vein, there are plenty of interesting and funny stories. Written with a lot of sarcasm and yet a practical, no-nonsense sort of tone, this is best experienced in audio book form where you can get a sense of her personality through her voice. I've listened to a few underwhelming celebrity audio books where they didn't seem to want to "perform" their own writing. In contrast, Kendrick gives everything to her performance, ratcheting up the personality and wry humor in what ends up being a very entertaining read. I would recommend this to fans of Mindy Kaling's books. Be aware: there's plenty of language and discussion of sexual scenarios.